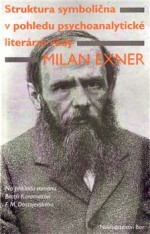 Literary academic, aesthetician, educationalist, poet and novelist. Born on 9 September 1950. Rádlův synovec aneb Corneille na scénu! At the heart of [Rádl’s Nephew], which is framed by two natural disasters, stands fraud of various kinds, surprising, but completely conscious and even self-confident. He graduated from the College of Education in Ústí nad Labem, he was awarded a doctorate in literary science from the Faculty of Arts at Charles University in Prague, where he also completed his PhD and senior lectureship in aesthetics. He lives and works in Liberec. 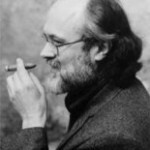 He began writing when he was a student and his literary debut was in 1986 with the poetry collection Ve slově hlína (In the Word of Clay). 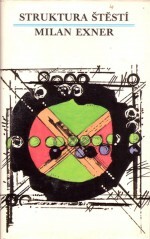 There then followed the prose works Struktura štěstí (The Structure of Happiness, Severočeské nakladatelství, 1987) and A přece zázrak chtít (Still to Yearn for a Miracle, Severočeské nakladatelství, 1989). In both cases these consist of a trio of novellas set in and around Liberec, where various characters are portrayed by their direct speech. 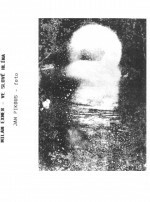 Oblast stínu (The Land of Shadow, Petrov 2005) is similarly constructed, and forms a type of triptych with the collection of novellas, describing the disintegration of a marriage to the background of the November events of the Velvet Revolution. 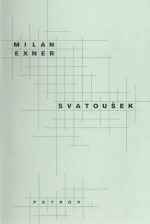 Exner wrote the novel Svatoušek (Sanctimony) back in the 1990s, which was again based on life in Liberec (Petrov, 2002). 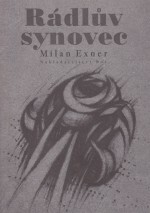 The main character is Exner’s alter ego, Svatoslav or Svatoušek (Sanctimony). 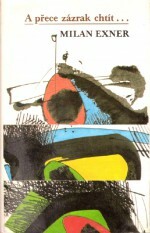 “The variations in the main character’s name as well as the title of the book ironically refer to the fluctuations between pagan hedonism and Christian spirituality, to the search for faith and authenticity in the midst of human drudgery, provision and sheltering, where alongside triumphant carnality there still remains ‘the strong longing for something above to exist’,” wrote Jiří Zizler in a review for the newspaper Lidové noviny. 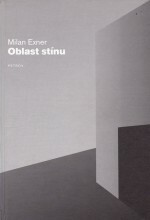 His next book, Zoufalství (Desperation, Bor, 2006), a complex “novel about the elderly for young people,” presents Exner’s penchant for imaginative prose. This comes to an end with the novella Lakuna aneb Hamlet na kolonádě (Lacuna or Hamlet at the Colonnade, Bor, 2007), which is also the first in a series of so-called theatrical novellas. 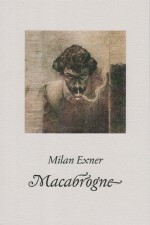 The second theatrical novella, Rádlův synovec aneb Corneille na scénu! (Rádel’s Nephew or Corneille on Stage!, Bor, 2010) continues in this theatrical style, with its story about a porter in a kind of Eurouniversity in Bohemia following a flood, and the main character is the overly-educated professor Anýž. The third is called Faust letí do Nového světa (Faust Flies to the New World, Bor, 2011). The fourth opus in this series is called Biblické humoresky aneb Mezi mansiony (Biblical Humoresques or Among the Mansions, Bor, 2014). No matter how much of a philosopher Exner is, he knows how to be accessible to the reader – in Faust he presents a new-age theatre reality show, where a director, dramaturge and actor are locked together in one space and time to rehearse Goethe’s Faust. At the same time as the reader observes their game, the author/reader poses the question of whether Faust is such a magical text that it subjugates the others, or whether, on the contrary, a theatre company can use its approach to overcome it. Biblické humoresky is about a similar panopticon – some theatre enthusiasts have acquired a grant to perform the biblical cycle From Adam to David, and are staying in monastery which, thanks to EU money, has been renovated and turned into a hotel: director Zach, dramaturge Stach, actors, costume makers, and designer of the Mansion and props, Karel. 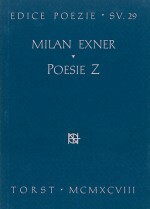 Exner also publishes poetry – in addition to his first collection, Ve slově hlína (In the Word of Clay), Torst also brought out Poezie Z (Poetry Z) in 1998. 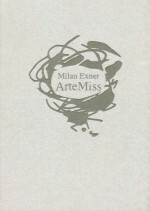 This consists of works written between 1976 and 1982. 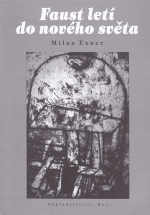 The lyrical Kantova růže (Kant’s Rose) presents Exner as a poet of romantic crises (Petrov, 2003). 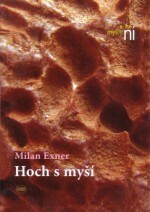 As a literary academic and aesthetician Exner has also published three major academic works: Aktanty a nevědomí – Pokus o přiblížení teorie archetypu a strukturální sémantiky na příkladu Goethova Fausta (Participants and the Unconscious: An Attempt to Approach the Theories of Archetypes and Structural Semantics based on Goethe’s Faust, Liberec University of Technology, 2002), the extensive monograph Struktura symbolična; Na příkladu románu F. M. Dostojevského Bratři Karamazovi, Příspěvek k evoluční estetice (The Structure of Symbolism in F.M. 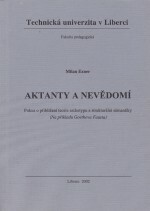 Dostoyevsky’s Novel Brothers Karamazov, A Contribution Towards the Development of Aesthetics, Bor, 2009) and Afekt, sen a skutečnost v díle F. M. Dostojevského; Osobnost a ontologická hodnota fikce (Affect, Dream and Reality in the Works of F.M. Dostoyevsky; Personality and the Ontological Values of Fiction, Bor, 2013).